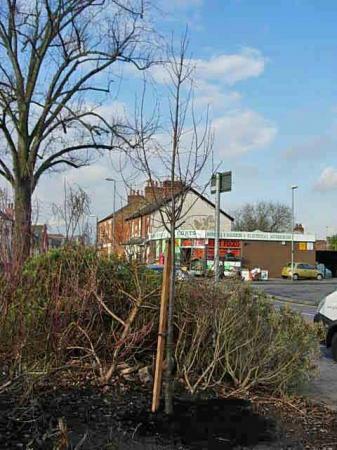 In November 2009 a car went out of control and demolished the shrubs in the bed facing Anthony Street. It was decided to plant a Lime Tree as this was the one bed without one and the chance to start replacing the the existing trees which are dying back. The original trees are just over 100 years old and their roots were greatly disturbed when Cross Green was landscaped in 2003.